Good evening everyone, welcome to the Freelance Friday Edition, and thank You all so much for being here. Starting Monday, ‘The Good News Journal’ Will no longer be included as Part of the Title for new Blog Posts, nor Will the day of the week. Instead, only the Volume number and subject Matter of the Post Will be included in the Title. The Good News Journal Will remain a main category with corresponding days of the week listed as subcategories beneath. This is to simplify site navigation and Keep similar site content in the same place. For example, those who are more interested in Motivational Posts can find all the Motivational Monday Posts in one place. The Freelance Friday Edition Will be dedicated to random topics related to My Microcosm, which Will also relate in some Way to Man’s Macrocosm – this is simply the Nature of the Holographic Universe, and today’s Post is no different. Yesterday I Writ a Post called ‘Sing, King, or Sinking? (in Commercial Admiralty Waters)’, and I was tall King about a Letter of reply to a package of documents sent to the Attorney General containing My Cestui Que Vie and two additional documents complaining of trespasses upon My Sovereignty in 2010 that I received from the Ministry’s legal director, Sean Kearney in April of 2017. My ‘Cestui Que Vie‘ (pictured above) is a very unique, Magical document. 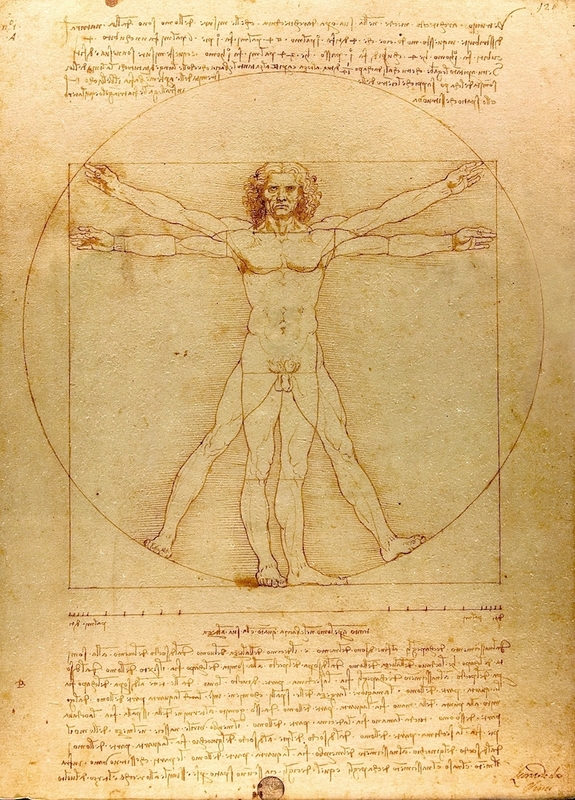 It incorporates (explanation forthcoming) the same philosophies Vetruvius Writ about with regards to architecture that provided the Foundation and inspiration for the Great Work DaVinci would later perfect, ‘The Vetruvian Man’. I have wanted to Write a detailed Post about My Cestui Que Vie, how it is a literary translation of DaVinci’s Vetruvian Man, and how it embodies the philosophies of Vitruvius himself with regards to architecture and, (more specifically) the construction of churches and cathedrals. These Magical Principals are in Deed the Foundation of all Great Works constructed by Master Mason’s in Our modern world. The Inspiration Behind Leonardo DaVinci’s Vetruvian Man – and We all know how I feel about coincidences. The fact this showed up in My inbox is as much a reflection of the philosophies Presented in this Post as anything else. Master Mason’s use these same techniques in all modern architecture. Believe Me when I tell You, if a building is constructed by Master Mason’s, not one single stone is arbitrary in its placement, there is a [Divine] intention behind every blue-Print, designed to have a Magical Impact on the Eye of its beholder to be Awe-Struck by its Magnificence. Especially Churches and Cathedrals – that is exactly why One feels as if they are in the Presence of God when they walk into such a building. So, how does My document mimic the same Magic? Well, let’s first consider the overall document. It’s not Living, it’s just a Piece of Paper. This is why construction plans for Blue Prints are in Blue – blue is the Colour of Blood without Life, representing a ‘dead thing’, a corpus, which is where the Word corpo-ration comes from. I am Living, so to represent that in My document, I used red ink (not blood, though many have as King of Me this Quest-Ion, including the first prosecutor it was Handed to in a Court of Law) to symbolize Blood filled with Life/Oxygen; because a man’s blueprint for Life should reflect the fact that He is Living. After a blueprint is drawn out, One cannot begin building the structure without a solid Foundation. Paper represents Earth [and also why I chose to use ‘brown’ unbleached parchment], Ink represents Blood. To print, or copy the document, is to ‘build’ upon the earth without providing any Foundation; a printer ‘paints’ micro-thin layers of ink on top of the paper. Using a chisel-tip Calligraphy Pen, Scribes the Words into the Medium, Creating a Foundation for the Ink to lay upon and leaving an Impression in the Parchment. If One were to run their Hand over the surface of My Cestui Que Vie, One can feel the Words like inverted brail. The Words themselves provide the subject Matter – although tiny, if One were to examine My document under a Micro-Scope, tiny atoms of ink would sit upon the Foundation One would see Scribed into the document like trenches. This is exactly the same concept as building blocks, except in Micro-Form; Microcosm reflects the Macrocosm, and so too should My Claim of Life. Finally, there are the Four Prints in the corners of the Paper. Why in the corners? Well, Four represents Foundation in Magic because four corners provide stability for the structure. I have already said that the Paper/Parchment represents the Earth. God’s Kingdom reaches all Four Corners of the Earth, so this is also re-Presented in My document by placing Four Pillars (again, under a microscope the Prints would appear to be raised, just like Posts would provide stability to walls of a building) in each of the corners. Four also represents the stability of the Man him Self, with two Hands and two Feet firmly placed on the earth, reaching up to the sky. This represents both High aspiration while Standing firmly on the Ground. Building up represents Man’s determination to reach the Heavens in Architecture, which is why We are always trying to build taller and taller structures. I hope You’ve enjoyed the Fabulous Freelance Friday Edition, have a Wonder Full weekend!!! Previous The Good News Journal, Volume XLVIII: The Thoughtful Thing King Thursday Edition – Sing, King, or Sinking in Commercial Admiralty Waters?